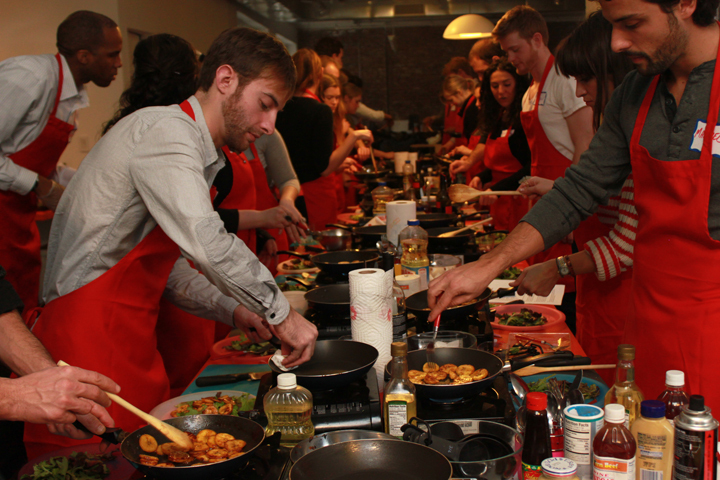 COOK TO BANG has partnered up with NYC cooking school MOPAC: Meet Other People And Cook to create culinary social networking events, part classes, part mixers, all decadent. We’re talking good food galore! Unlimited booze! 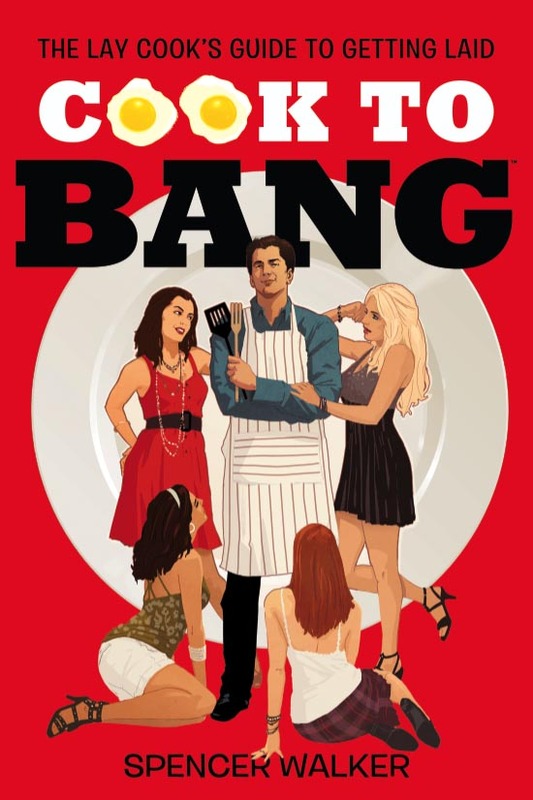 An interactive cooking class sure to end with a bang! For more information or group rates e-mail: cooktobang@gmail.com. Calling all New York food lovers. Join us for more culinary social networking at Tammany Hall Tuesday April 10th from 6-9pm. Meet, greet, eat, and repeat. Mix and mingle with your fellow food fanatics. Participate in interactive food demonstrations with a Latin American theme. Sample some tasty new foods and spirits. And all for a great cause. Proceeds will go to UNICEF to feed hungry children in developing nations. See you there! 28 New Yorkers threw down for a pre-Valentine’s Day warmup. In the heart of Soho, they learned about aphrodisiacs, wine pairing, and how to cook a three-course meal sure to wow your sweetums. The menu: Chicken Lettuce Cups, Oragasmic Catfish, and Under the Chocolate Covers Strawberries. Excellent stuff. I can not describe how much your blog has helped me in my academic research on the subject. I am now going to get top marks for sure. Thanks a million. I owe you one. It’s great to see that people like you are spending their time posting useful information for others. Experts willing to donate their time to post free knowledge for others are pretty hard to find. I’m actually to be lastly submitting on the web following all these many years. There genuinely is no mystique (sp) about it, is there? I just dropped by your blog and had to write. I’m a current college grad, journalism major if you need to know, and I absolutely really like photography. I’ve got my internet site up but it’s nothing at all to brag about yet. None of my stuff’s been posted. Soon as I figure out how to do that, I’ll devote the afternoon putting up my best shots. anyways just considered I’d drop a line. I hope to return with far more substantial information, material you can actually use. Hello, not certain if it’s my pc or your web page, but your appropriate sidebar is covering some of the text in the middle of the page if that makes any sense? I’ve reloaded the page a few instances, and the identical thing keeps happening. I cease by from time to time and havn’t noticed this just before. Experts willing to donate their time to post free knowledge for others are pretty hard to find.I’ve reloaded the page a few instances, and the identical thing keeps happening. I cease by from time to time and havn’t noticed this just before.